The delivery arrived the day before they opened. Judd and Hannah had given up the stress and poverty of teaching and were opening a bar. They’d met in a bar. They missed the atmosphere. They picked a small hole in the wall and added everything they thought was necessary to keep people coming back. They had a few tables and chairs, a long bar with comfortable stools, a pool table, video game machine, and now the most important element (next to the alcohol, of course): a jukebox. Not an especially fancy jukebox, but it was only slightly used and the speakers were surprisingly good. They named the bar after Hannah’s beloved and recently departed Uncle Will and opened on a Wednesday. The first few days produced only a few single men stopping by for a beer in the afternoon. Friday came and a couple of them arrived soon after opening in the early morning. The men didn’t seem to know each other, but they all chose the same music on the juke – country. Judd and Hannah, for the first time, wondered if this was going to work. They were liberals and not terribly fond of country music. And so far conversation had consisted of taking orders and collecting tabs. After a couple weekends of dreary customers and little income, Judd had an idea. 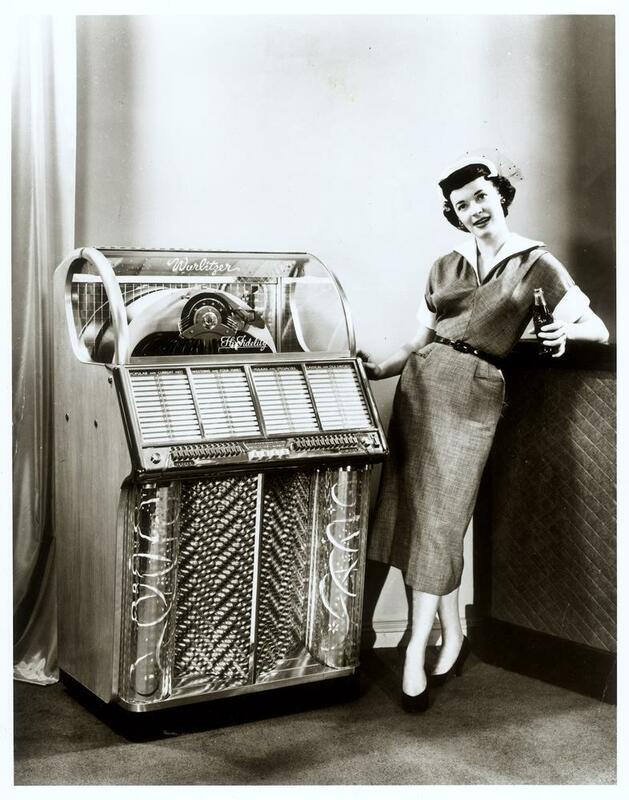 He called the jukebox company and asked them replace half the country selections with show tunes and soloists, like Frank Sinatra and Liza Minelli. He got handbills printed up offering free drinks to patrons at a small community theater a couple blocks over, just bring their ticket stub from the show. He went out the next Friday night and stuck one on each windshield in the theater’s parking lot while the show was in progress. When Judd returned to the completely empty bar, Hannah smiled to herself. After an hour had gone by, with Judd standing in the door while she read the newspaper, she found herself giggling a bit hysterically. How were they going to get theater patrons into this dive bar? Judd was a dreamer. She loved that about him. 10:30pm ticked by and no customers. Theater patrons were not being enticed. Hannah pulled out her paperback, John Irving’s “The World According to Garp.” She enjoyed stories of messy lives. At about 11:15pm, a crowd of ten people piled in. They were loud and full of energy. “Any food?” one of them shouted as he walked in the door. Judd’s face lit up. Actors liked to drink. And talk. And they didn’t have anywhere else to go late at night, after a show, when they were wired and wide awake and looking for fun. “Susie, they’ve got Frank Sinatra on the jukebox!” someone shouted. An obese young woman with a 1,000-watt smile squealed and hurried back to the jukebox. The rest of the night was like a private party. All the customers were friends, and they gladly made overtures of friendship to the new bar keeps. “This bar is pretty good. Meets all the criteria, except one. Pool table? Check. Full bar? Check. Jukebox? Most importantly, check. And even Ms. Pacman. But no food. Too bad. I hate to have to keep looking,” Max said, laughing with his pals. “What if we get a microwave and some burritos and stuff for next time?” Judd asked. Hannah looked around trying to figure out where they would put a microwave. The jukebox never stopped. Regularly, the entire group would sing along. New York, New York – both the Frank and Liza versions. On the Street Where You Live. To Dream the Impossible Dream. Some of them could really sing. Oddly enough, they seemed to have the most fun singing Elvira by the Oakridge Boys. They played that one four times before closing. Judd bought the house a round at 1:30. At 2am on the dot, Hannah pulled the plug on the juke. The actors adopted Judd and Hannah along with the bar. Over the years, head shots and production stills started to line the walls until they were covered, every available space filled with photographs of local actors and the shows they did because they loved it. The pictures, and the microwave, were the only changes. Actors who came to town quickly learned you could hang out at Uncle Will’s, especially on the weekends, and end up meeting most of the people in the theater community. You could find out what shows were going to audition, who was good to work with, and who sucked. And you could get a burrito with your scotch and water at 1:45 in the a.m. You could make friends. Buy prophylactics in the bathrooms. Bum cigarettes from almost anyone. If you showed up more than once, Judd and Hannah made sure you became part of the family. During week days, the clientele was still mostly random guys with nothing better to do, but sometimes theater folk would come by for lunch, bringing in food from somewhere else. Have a beer, listen to a few tunes, and head back to their “real jobs” typing memos or stacking boxes or whatever they had to do. They never called acting their “real job.” Theater was their real life. The jukebox was warm and inviting, like a fireplace in a cozy living room. Everyone became a singer in the joyful atmosphere. And talent flowed through that small space. One couple wrote a song for Judd and Hannah on the fifth anniversary of their opening. It was recorded and added to the jukebox. The place roared and sang and talked most every night, because actors would be wired after a mid week rehearsal, too. Maybe not as much as after a performance, but they would still come by for a drink, a couple tunes and a few laughs to wind down. It was a club house. Exclusively non-exclusive. Man and woman, young and old, straight and gay, black and white and any other variation. Just love theater and you were welcome. After ten years, Judd and Hannah decided to gamble on their success. They’d sell Uncle Will’s and open a restaurant bar further downtown in an area that was being “redeveloped” according to the local politicians. Then Judd passed out T-shirts that had Hannah’s catch phrase printed on the front, with “The last last call at Uncle Will’s” on the back. Max was pretty drunk by the end. Judd held him back as the last few patrons dragged out the door. Hannah looked at Judd. She went around the bar and found a Magic Marker by the cash register. Judd guided Max to the jukebox in the back. Max wiped his hand across his face, smearing snot and tears. They each signed the machine and pushed it back against the wall. When Hannah plugged it back in by habit, it somehow started playing Elvira. Max leaned against the machine and cried until the song was over. Then he hugged Hannah and kissed Judd on the forehead and headed out to the street. He’d have to walk home. His ride had left early. The new place was nice. It opened about five months later. Everyone came to the grand opening and tried the food over the next few weeks. But change is change. There was no pool table or video game machine. No pictures of local actors on the walls. And the front was wide open to the street with big windows. All sense of intimacy was gone. Even if the jukebox had been there, it couldn’t have warmed up the room like it had at Uncle Will’s. Max went by the old Uncle Will’s about a year after it changed hands. It was a gay bar now. He stepped inside and ignored every head that turned his way. The new owners had remodeled. The video game machine was gone. The pool table was gone, with a small dance floor in its place. But the jukebox was still in its same old spot at the back. Max ordered vodka, straight up, and carried it past the men on the make. He checked out the song selections. Queen. John Michael. Barbra. Elton John. Bee Gees. Liza was still there, but Frank was gone. Oddly enough, Elvira was still in the same spot: 4K. He looked at that jukebox for a long time. When the music stopped playing, the bartender asked if he wanted a quarter. Max downed his drink and set the glass on top of the juke. He pulled out his own quarter and made his selection, hearing just the beginning of Elvira as he walked out the door. A week later, Max moved to Los Angeles. Five years later, Judd and Hannah sold their new place and retired. Things were never the same for the theater community. It’s said, however, that Elvira is still on that jukebox in the gay bar that used to be Uncle Will’s. Taylor Ashbrook’s current favorite quote about writing: “Words are sacred. They deserve respect. If you get the right ones, in the right order, you can nudge the world a little.” By one of her favorite playwrights, Tom Stoppard. A born and bred “Theater Geek,” Taylor aspires to write more than she actually manages to put words down on paper. Having written mostly with partners for live theater projects, she hopes to someday write a novel she would enjoy reading. Currently, she’s working on a dark, full length play – sans partners – just to get it out of her head. Except she takes a lot of breaks to direct, act and produce. Taylor has been a Member of The Eclectic Company Theatre, except for a couple brief years, since 1990. I enjoyed reading your short story – good flow and warm feelings! Thanks so much – I truly appreciate the feedback. And it’s nice to know someone out there read it… Ha! Again, very much appreciated. Like it. Sparse, effective language. There’s nothing quite like a jukebox –all the ipods and cd players in the universe cannot compare. -K.S. This entry was posted on July 1, 2013 by Eclectic Voices in Fiction and tagged actors, art, bar, fiction, Frank Sinatra, John Irving, juke box, story, theater.